The other day someone asked me “Do you eat salad every day?” To which I replied “I do. Don’t you?” I sometimes forget that most people don’t eat a pound of vegetables a day. A lot of people don’t even really give much thought to what they eat on any day. And I get it because I was once like that too. We are living in a time when almost 10% of Americans have Type II Diabetes, nearly 70% of American adults are either overweight or obese, 22.7% of adults have some form of arthritis and Alzheimer’s is now the sixth leading cause of death in seniors in the United States. What is going on? How can people be dying of conditions like these when we are living in a time when medical advancements are seeing people who have suffered life altering spinal cord injuries walk again? Food. That’s what’s wrong. We have given up on eating good for you, nourishing food. Instead of going to the garden to pick lettuce, tomatoes, green onion and a cucumber to make a salad for lunch, we are dumping the contents of a box into a bowl and popping it in the microwave for 5 minutes. We are eating foods that provide the bare minimum of nutrition. We are creating inflammation in our guts simply by eating food that is quite literally bad for us. This is also known as leaky gut syndrome and it’s as awful as it sounds. The good news is we can change it. How? Eat better food. Simple, right? Apparently not. Many people’s attachment to food seems stronger than their attachment to people. I’m not kidding. If I suggest to someone that they stop eating grains (bread, pasta, bagels, cookies, muffins, oatmeal, cereal, etc.) for 4 weeks, I might as well have asked them to cut off their left arm. It’s just food, people. Food that is probably doing you more harm than good. But the only way you are going to know that is if you stop eating it for a period of time. If you feel better without it then chances are it is causing inflammation in your gut. And if you haven’t heard, the medical community has come to realize that good health starts in our gut. And the best food for your gut? Vegetables, animal protein, healthy fats, fruits, nuts and seeds. Here’s your mission should choose to accept it: stop eating food that comes from a box or a package (pre-made meals and pre-packaged food with so many ingredients listed on the box you need a magnifying glass to read them all). Stay out of the middle of the store. Do most of your shopping in the produce section and at the meat counter. Or better yet, hit up your local farmers market. Get to know who is growing your food and where it comes from. The practice of being mindful takes just that—practice. I still practice making the best nutritious, and most importantly, delicious choices when it comes to what I’m eating every single day. And because of all that practice, long gone are the days of feeling bloated all the time, aches and pains every time I moved, constant brain fog and having absolutely no energy to do anything. I feel as good now in my late forties as I did in my twenties. Probably better. So before your next meal, take a minute to really think about what you’re going to eat. If you’re not sure, have a salad. Orginally published in the Northwest’s best lifestyle magazine Bellingham Alive in April, 2017. 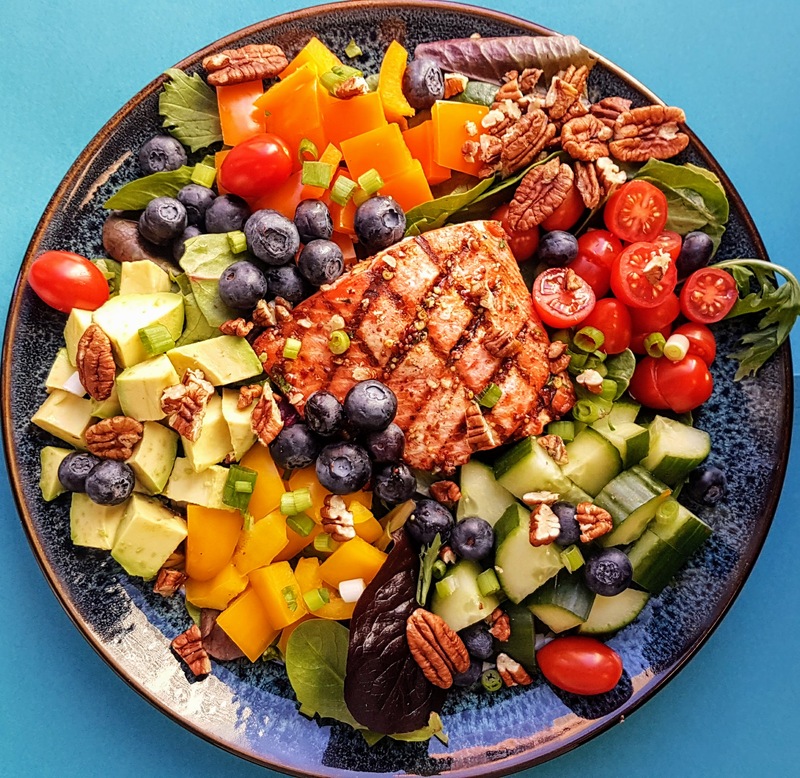 Cassie is a health and nutrition coach who believes that if you eat colorful food you are guaranteed it will be nutritious and definitely delicious. She is also the creator of Nutritious and Delicious Appetites by Design to help you feel your best so you can live your best.